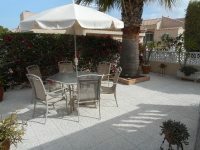 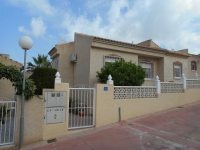 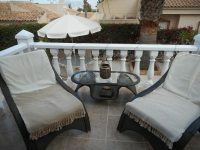 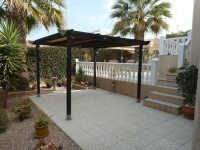 IMMACULATE, WELL MANTAINED DETCHED VILLA ON A 300m2 PLOT OF LAND WITH OFF ROAD PARKING AND SPACE FOR A PRIVATE POOL. 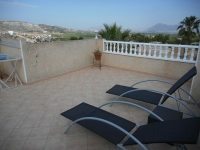 THIS VILLA IS ALL ON ONE LEVEL AND OFFERS 3 DOUBLE BEDROOMS, 2 BATHROOMS(ONE WITH A BATH AND SEPERATE SHOWER), SOLARIUM WITH STORAGE SPACE AND EXCEPTIONAL VIEWS OVER THE MOUNTAINS AND LANDSCAPE, UNDERBUILD WITH STORAGE SPACE, LOWER TERRACE OVERLOOKING THE PRIVATE GARDEN, GAS CENTRAL HEATING & FIBREOPTIC INTERNET CONNECTION. 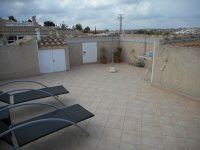 THE ENTRANCE IS THROUGH A ELEVATED PORCHE WHICH IS GLAZED IN AND THE COMMUNAL POOL IS JUST A SHORT STROLL AWAY. 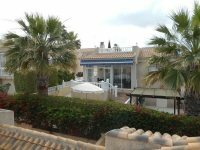 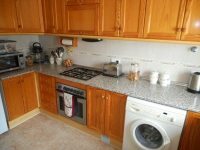 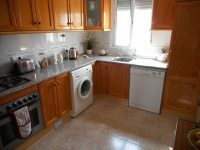 THIS PROPERTY IS LOCATED ON THE QUIET RESIDENCE OF ONLY 22 PROPERTIES ON MONTESOL, CLOSE TO ALGORFA AND A 5 MINUTE WALK TO LA FINCA GOLF COURSE AND COMMERCIAL CENTRE WHERE YOU CAN FIND MANY BARS, RESTAURANTS & SHOPS. 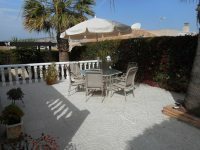 IT IS A 35 MINUTE DRIVE TO ALICANTE AIRPORT AND ONLY 20 MINUTES FROM THE COAST OF GUARDAMAR. 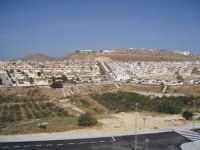 THE COMMUNITY FEES ARE ONLY 292€ PER YEAR. 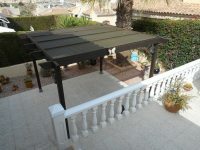 THIS PROPERY IS SOLD FULLY FURNSIHED.